Digging through the racks at my local thrift store last year, I overheard another customer ask the clerk, “Did you take down your Christmas stuff yet?” Seeing as it was just December 26th, my ears tuned in to hear the clerk’s response. I never could quite make out the cashier’s reply, but the slightly disgruntled consumer went on to proclaim, “I’m so over it!” She followed up that announcement with an explanation of her reasoning (apparently Christmas had stifled the mobility of her cats) as well as let the girl behind the counter know that she’d instructed her husband to erase all signs of the holiday before she returned home. A year later, I’m still mulling over this exchange. What exactly was that woman “over”? Was she weary after having spent a night and day rejoicing in the Lord? Had the awe of contemplating God’s humble posture as a babe in a manger been too overwhelming? Doubtful. More likely, she (like many of us) had worked herself into a tinsel-slinging frenzy with a myriad of preparations before Christmas. From stacks of hand-written cards to tins of homemade sugar cookies, perhaps she’d exhausted herself trying to create the perfect Hallmark-worthy Christmas scenes inside (and out) of her house. And then, like the Thanksgiving guest who gobbled down double portions of every available dish and an extra thick slice of pumpkin pie (and grumbled about the ensuing agita and shrinking pants), she probably gorged herself on pre-holiday cheer without a thought of the other eleven days of Christmas. As a mother, I used to watch my children crash and burn before sunset on December 25th. 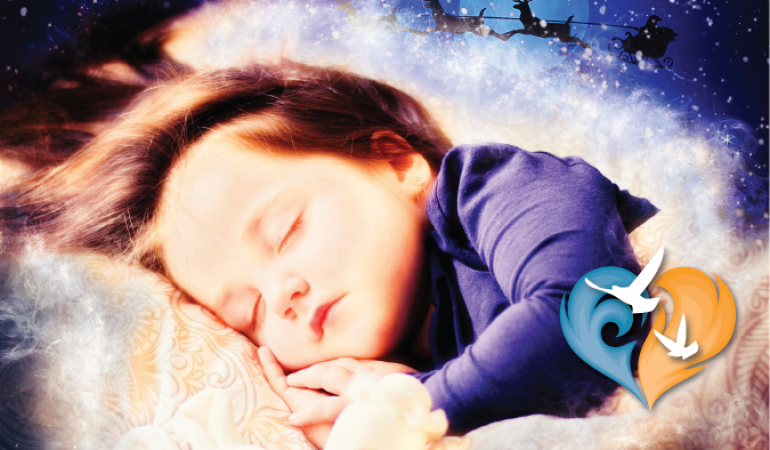 After a month and a half of creating (and revising) their wish lists, practicing Advent traditions and sugar plum dreaming, they typically felt a little let down once the 24 hours of Christmas Day drew to a close. Then came the year we reclaimed the 12 Days of Christmas. Rather than focus all of our attention on the first day of the holiday season alone, we celebrated each one of the days that made up Christmas, from December 25th through Epiphany. It shouldn’t come as a surprise, but we discovered a treasury of blessings in this new (to us) practice. Celebrating all twelve days allowed us to savor time and relish the fullness of Christmas joy. Gone was the pressure to cram every good thing into a single day (and the resultant disappointment when it ended). Truly, the entrance of our Savior into the timeline of human history is worthy of our extended adoration. 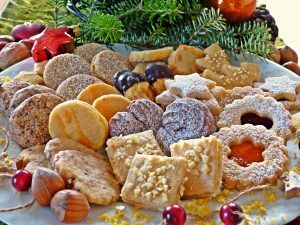 So, just as we spend the four weeks of Advent in patient anticipation, so too should we invest ourselves in the twelve days of joyous feasting for the full season of Christmas. If you aren’t already in the habit of celebrating for twelve days, make this the year you reclaim the season of Christmas. While the overriding idea is to relax and experience each day in turn, it can help to have a simple plan in place to make the most of this blessed season. Before you rip into all those colorful packages this Christmas morning, stop and give thanks to God. We keep our baby Jesus statues hidden throughout Advent, so on Christmas morning He emerges and takes up His place in our mangers. This is a good visual for all of us, as we recollect the reason for our joy on this morning. As home schoolers we have the ability to set our schedule. We don’t start our Christmas break until Christmas Eve. Then, we fill up the break with all good things (play dates, movies, field trips, family game night, etc.) We don’t return to schoolwork until January 7th. If you don’t have the luxury of breaking, make a point to fit in some special family time in the evenings (family game night, a ride to a local light show, a movie, dinner out). Don’t stuff that Advent wreath away so fast. Instead, leave it on the table and light a white candle in the center as a reminder that Christ’s light came into the world on Christmas. Continue to turn on your Christmas lights and keep your tree trimmed. Our family assigns each of the twelve days to a specific group, family or person. So for example, on December 27th we are going to pray for the intentions of the H family. We will offer God the whole day in thanksgiving and petition for them. We mail each prayer recipient a note along with our annual Christmas letter, but it’s not too late to pray your way through Christmas. You could email your recipients on their day or give them a call to let them know you’re praying for them. 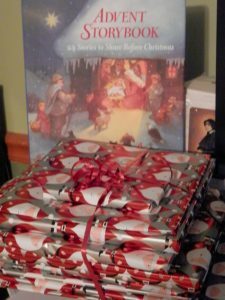 I wrap up 12 holiday themed books and place them under the tree on Christmas Eve. Then my younger children take turns choosing a “gift” each of the 12 evenings. After they’ve unwrapped the book, we read it as a family. Our three kings spend Advent in a distant land (sitting on a shelf across the room from the creche). On Christmas day we begin their journey toward the star by moving them a little closer to the manger each day. They will finally arrive on Epiphany. Learn the song The Twelve Days of Christmas and the Christian meanings behind the symbols. While everyone is making their New Year’s resolutions to diet and exercise, commit to a new prayer habit or an hour in adoration each week. January 1st isn’t just the first day of the New Year, it’s a holy day (of obligation) dedicated to the Blessed Mother. Honor your Savior’s Mother by going to Mass. I can’t think of a better way to begin the new year. 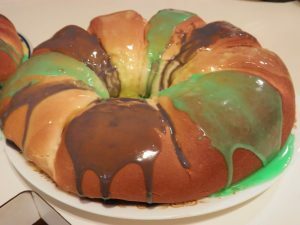 Celebrate the feast of the Epiphany with a King Cake. I found a yummy recipe online or you can purchase one at your local grocery. Seeing as the three kings have only just arrived on Epiphany, we allow them some added time to adore our Lord. After Epiphany we put away all of our Christmas decorations except the creche. The manger typically stays out until mid-January as a reminder that Christ deserves our attention all year long. These are all great suggestions. I have one to add: I typically don’t address and mail Christmas cards until after Christmas Day. This helps me remember that the days after Christmas are a part of the Church’s Christmas Season. We started doing this after a priest in his homily one Sunday in Advent gave us ‘permission’. It was a great relief to save this outreach until after Christmas Day. And it has the practical advantage of being able to reciprocate with a family that may have inadvertently been omitted from the mailing list.